Davenport House is a stunning wedding venue. 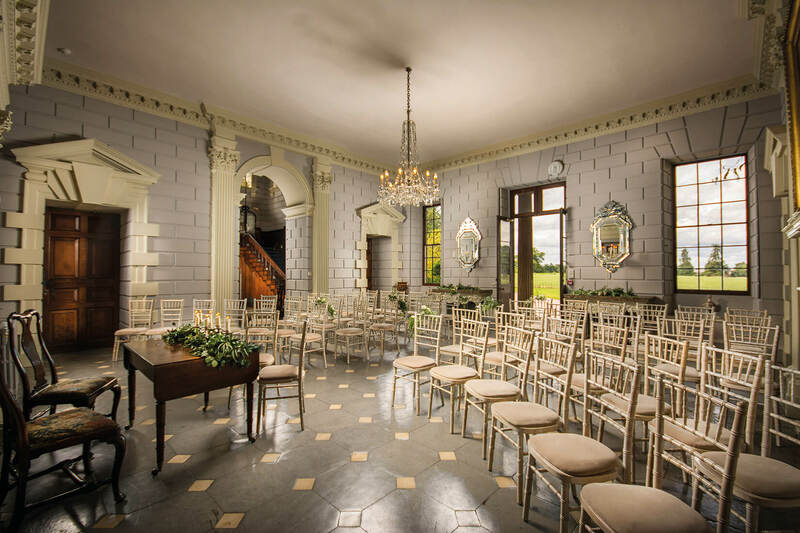 You might choose to exchange vows in The Great Hall, at the very heart of the house. On entering the Davenport House through spectacular double doors, the Great Hall brims with ancestral character and historic features. Following your ceremony, double doors lead through to the majestic Saloon with its marquetry floor. It is here that you might greet your guests, enjoying drinks and canapés along with breathtaking views over the lawn and countryside beyond. Stone steps lead down from The Saloon to the terrace, lawns and lily pond, a sublime, tranquil spot in which to circulate with friends and family on warmer days. Here at Passion for Flowers we love decorating this breathtaking wedding venue. If you are looking for a wedding florist for your Davenport House wedding please get in touch, we would love to discuss your ideas with you.